Not sure Poppy would agree with me (plenty of photo evidence below), but there are few things more magical than a snow day. Since there wasn’t any in the forecast this month or last, we decided to drive up to the mountains and I’m so glad we did! Getting ready is the hardest part, ha! Also notice how often Poppy is missing a glove (or both). Johan and I had a long conversation on the drive home about how kids need gloves and boots that are attached to their snow gear because once things come off and get wet, it’s all over! 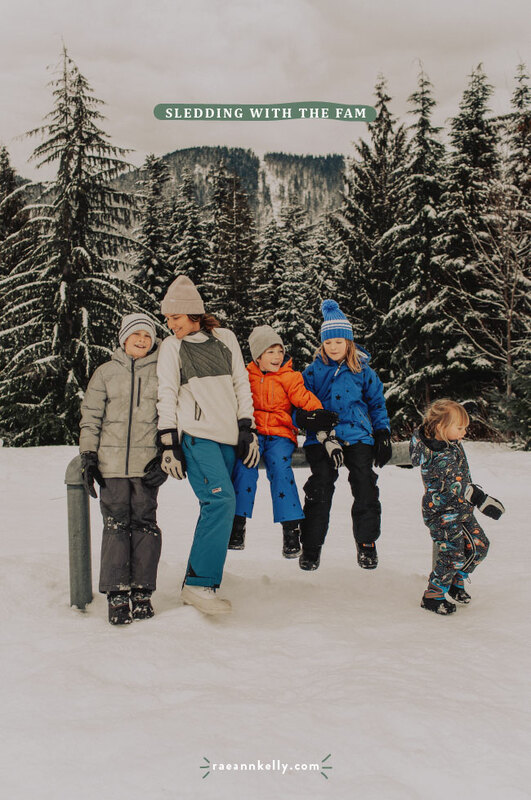 Thankful that Hanna Andersson carries cozy one piece snowsuits in her size (4T). Couldn’t find either of them on the site, but Griffin’s star overalls and Tilly’s star jacket are on sale! The rest of the crew did awesome in the snow… they usually do. We practically had to drag them off the sledding hill! More tears from Poppy below… 4 has definitely been a hard age for her (emo to the max!)! It’s like it’s always the youngest kids job to make sure we don’t think we’ve figured out this whole parenting thing. Ha! Thankful for her sweet and patient siblings. And Chardonnay. These faces! I love them so much! Can’t wait for a real snow day (the canceled school kind!) closer to home but luckily, living in the PNW, we don’t have to travel too far to find mountains and snow.